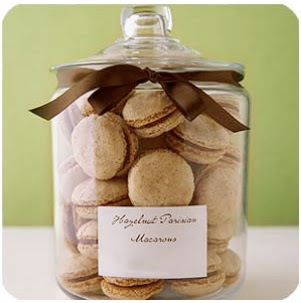 I love these little macaroons. They are such a light, pretty color and I love the sweet almond flavor. They would make a perfect wedding favor. 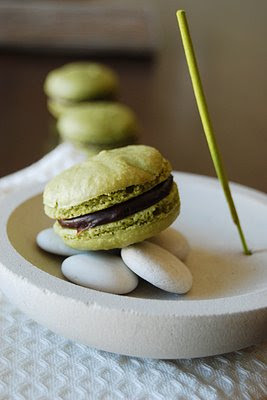 Jordan of Oh Happy Day (I love that blog even more than macaroons) posted a recipe and a few tips for making them at home. You could make them the week before, package them, pop them in the freezer, then let them thaw the day before the wedding! You would want to do a test run to see what happens when they freeze and defrost in your selected packaging, but I bet there is a good way to do it. I will definitely be trying these out sometime soon. Yum! 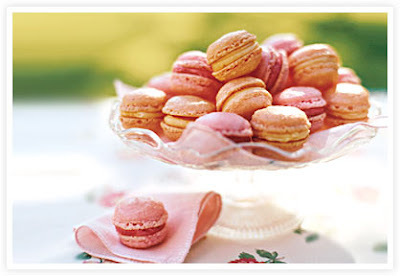 Now I want a macaroon, too....guess I will have to check out that recipe and save it for my next sweet tooth moment!